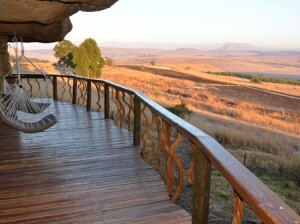 Bulwer is a warm welcoming village in the Southern Drakensberg. Bulwer is surrounded by a declared conservancy of grasslands and indigenous forests, watched over by the beautiful Amahaqwa mountain. The Village of Bulwer was named after Sir Henry Bulwer, lieutenant governor of Natal 1875-1880. These days Bulwer is treasured as an unspoilt and quaint country village with old style buildings. On your way to the Marutswa Forest you will pass the Yellowwood church, one of Bulwer’s most charming and tiny treasures, handcrafted from local trees for the princely sum of £25 in 1886. Services still take place on the first Sunday of each month, and the Carols by Candlelight service is an annual experience not to miss. The village still contains a number of original and restored houses from the 1800′s. Whatever your choice of past time, wherever you go in Bulwer you will find a country warmth, and an enthusiasm for our beautiful unspoilt village where the skies are crystal clear, with pure clean country air.